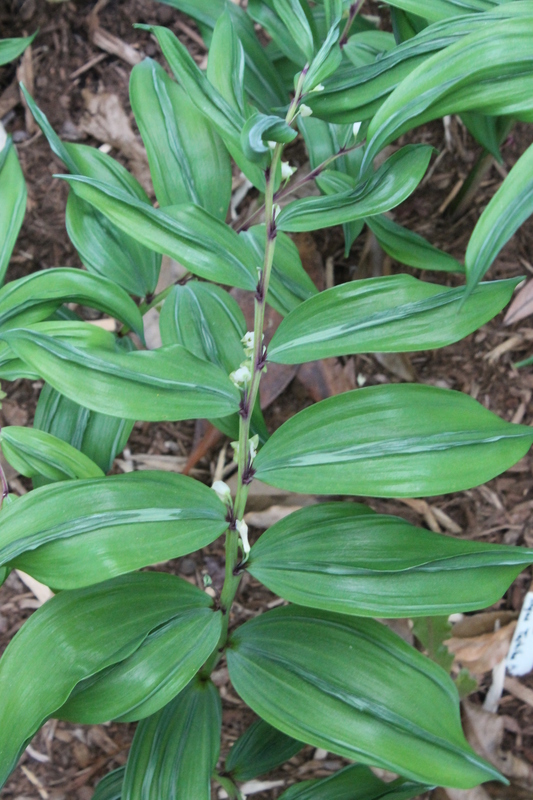 Here’s an odd one from the garden…the unique Solomon’s seal, Polygonatum ‘Koryu’. Each leaf is adorned with a central raised dragon ridge, giving the leaf an interesting multi-colored appearance. Like most of the Solomon’s seals, this one is very easy to grow in moist to dry woodland soils, although very deep shade slows down the growth too much.